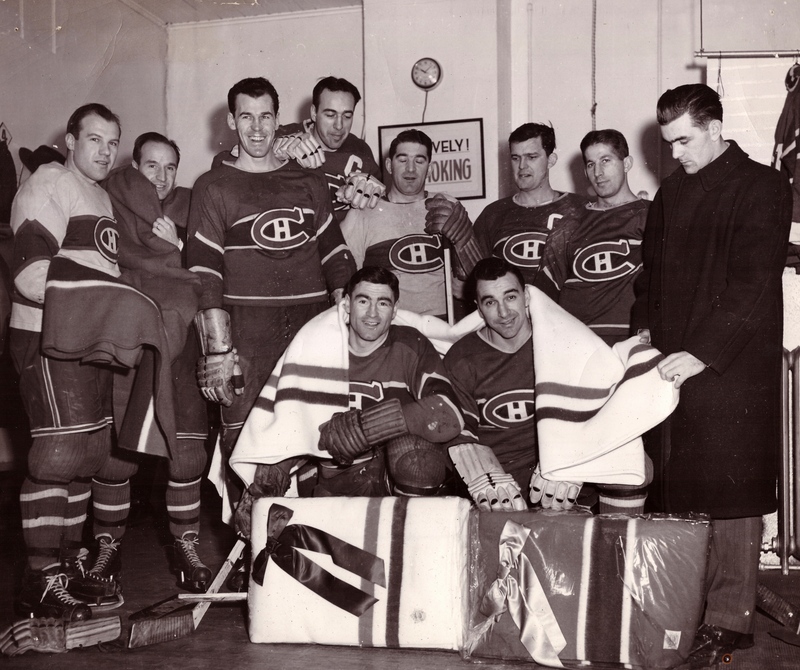 Blanket Statement: Members of the doubly captained 1947-48 Canadiens show off blankets (in Habs colours, of course) given by Ayers Limited, the famous woolen mill in Lachute, Quebec. 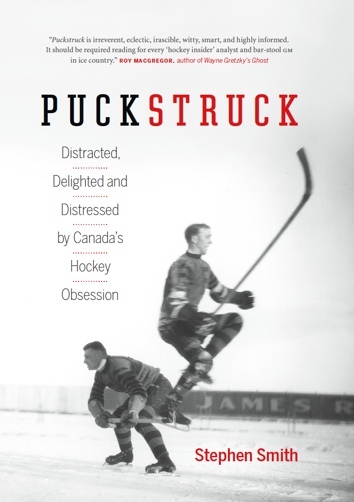 At the back are, from the left: Glen Harmon, Billy Reay, Butch Bouchard, Toe Blake, Roger Leger, Bill Durnan, Elmer Lach, and (on quality control) Maurice Richard. Bedspreaded up at the front are Ken Reardon and Bob Fillion.